If you’re considering remodeling your kitchen, one of the most important aspects to consider is the timeless appeal of your newly installed finishes. Whether you plan on living in your home for a long time or if you’re remodeling for the purpose of selling, it’s essential to think about how your new kitchen is going to look within the next few years. Despite the fact that you are absolutely in love with your new mauve cabinet color do you think you’re still going to love it as much in a few years after looking at them every day. Or what if you plan to sell, most new homeowners aren’t going to love mauve as much as you did five years ago. Whether it’s the color of the walls, your new kitchen cabinets, or the tile backsplash, here are some ideas for ensuring that your kitchen is a timeless beauty rather than caught in the past. When it comes to having a beautiful and timeless kitchen, lighting plays a very important role. 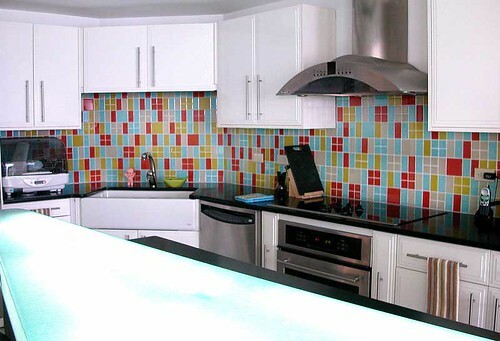 Lighting creates ambience and can even make your kitchen creations look more appetizing as well. When choosing lighting for your kitchen, consider task lighting, ambient lighting and accent lighting. Locate your work areas and concentrate on the best kind of lighting for that area first and then move on to ambient and accent lighting. Good options for timeless and sophisticated kitchen lighting includes under cabinet, pendant lights and recessed lights. Natural woods like maple or cherry are classic and can work for just about any kitchen style. White and black are also timeless. If you’re not happy with your current cabinets you may want to consider refinishing kitchen cabinets. This involves keeping your current cabinet frames and just changing the color or the finish of cabinet doors and drawers. Refacing cabinets is also an option. This is when you remove all exterior cabinet surfaces and cover them with a new type of veneer cover. Both of these options can provide beautiful and timeless results without the cost or time involved with getting all new cabinets. Cooks from any and all eras need one thing in their kitchen and that’s usable kitchen space which includes counter space, areas for food preparation, deep sinks, storage and easy to clean surfaces. By paying attention to the layout and space available in your kitchen you can be sure that your kitchen will be well-received at any point in time in the future.